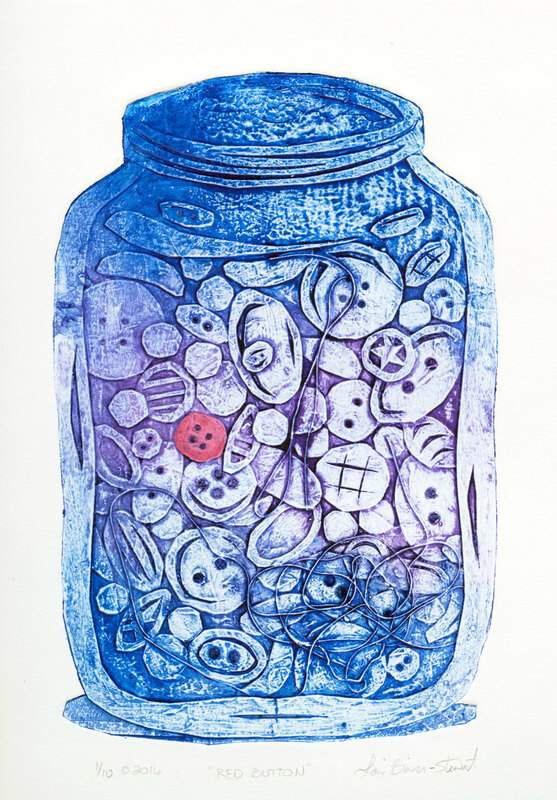 I cut out just the jar with the buttons from the “collector” plate and made another image from that. Hand printed on Stonehenge printmaking paper using oil based inks. The red button is hand painted with red ink. The blues and purples vary on each of these. Unmatted and mounted on an archival foamboard and shipped flat in a clear protective sleeve.